We use Macromedia Flash as the primary tool to provide low-bandwidth animations, presentations and web sites. 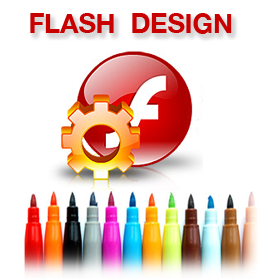 Flash enhances the end user experience, utilizing sound, motion and graphics. We design content for effective branding and online communications. Macromedia Flash and DBD are a winning combination. We can also combine Flash with streaming video to develop interactive “movies” that compel viewers to want to learn more about your products and services! Our movies can be sent as interactive e-mail, distributed on CDs or embedded in traditional web sites. We take the same development approach with Flash as we do with our print and web assignments. The design must be intuitive and compelling, and tell your story, prove your credibility and ignite viewers into taking action very quickly!